"Our greatest pleasure is offering customers a designer experience that has more sparkle." and Kirstin O'Brien, from a family of jewellers. Their collaboration was based on an idea to create a treasury of beautifully designed jewellery pieces which can be collected and enjoyed by women of all ages. Victoria is a registered jeweller and GIA Certified Gemologist from the Gemological Institute of America. Her expertise on diamonds, precious gemstones and metals along with her design and jewellery skills will allow you to feel confident your custom designed jewellery will be in the right hands. Kirstin is also a GIA Certified Diamond & Coloured Gemstones graduate and has had many years working in the jewellery retail industry. She grew up at the workbench alongside her uncle and grandfather who were both manufacturing jewellers. Scroll through the images below to view some of our highlights…. 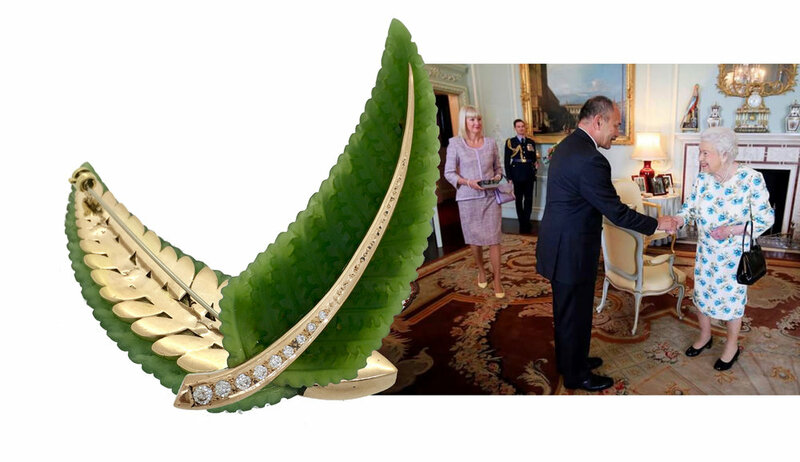 Commissioned by the former Governor-General of New Zealand to create a Brooch for Her Majesty Queen Elizabeth II to commemorate her 90th Birthday. Selected by Palace Staff of HRH The Duchess of Cambridge - Kate Middleton - to supply four pieces of jewellery for her Royal Tour of New Zealand. Commissioned to create jewellery to be worn on the BAFTA's and OSCAR's Red Carpets. Commissioned to create jewellery worn by Actress Rachel Weisz in the film The Light Between Oceans. Jewellery designed and created to be worn by Actress Robin Tunney in the Film Paparazzi. Commissioned to create an Olympic Necklace for 2017 Olympics - NZ Swimming. Thousands of happy clients: loving their Bespoke Engagement Rings or individual Collection pieces. Dedicated Charity work for Neonatal Trust New Zealand, Women's Refuge and Ronald McDonald House each year. Support for Charities Mary Potter Hospice, Breast Cancer Pink Ribbon Awareness, Achilles Foundation and other charities in New Zealand. Kirstin O'Brien and Victoria Taylor of TORY & KO. Jewellers welcome you to their Fine Jewellery Boutique in The Old Bank Arcade, 233 - 237 Lambton Quay, Wellington, New Zealand.